Replacement print for textile exhibition wall 3x4 straight. Retrofit your existing textile wall with fresh designs. Assembly and disassembly require no tools. The print is easily attached to the solid frame with velcro thus offering every comfort that a modern popup display should. 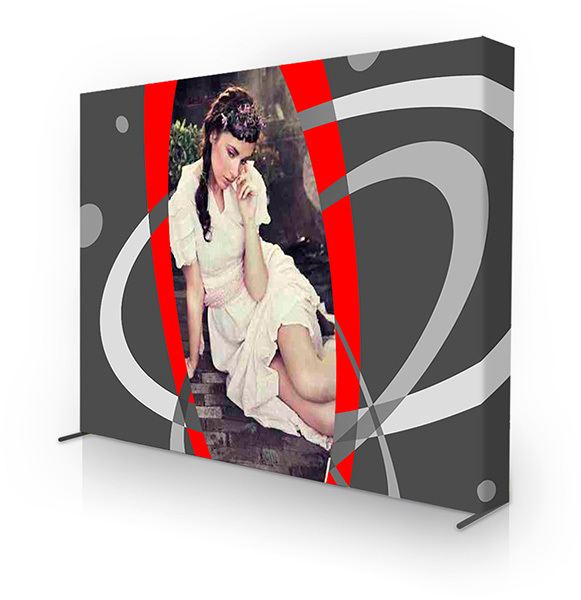 The print is large enough to attract your customers attention while also fitting any exhibition stand. Folded up its only 23 x 43 x 90 cm large and weighs only 13.2 kg (without media). Included in the scope of delivery are a trolly for transportation, 2 halogen spot lights as well as the printed media with the velcro bands for attachment.